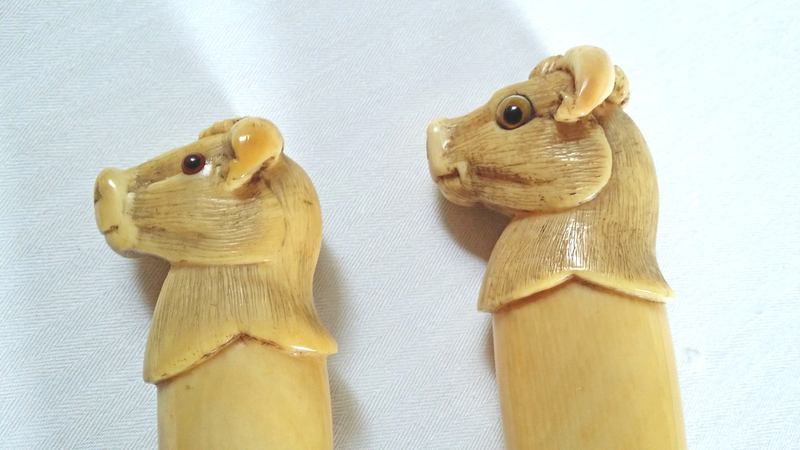 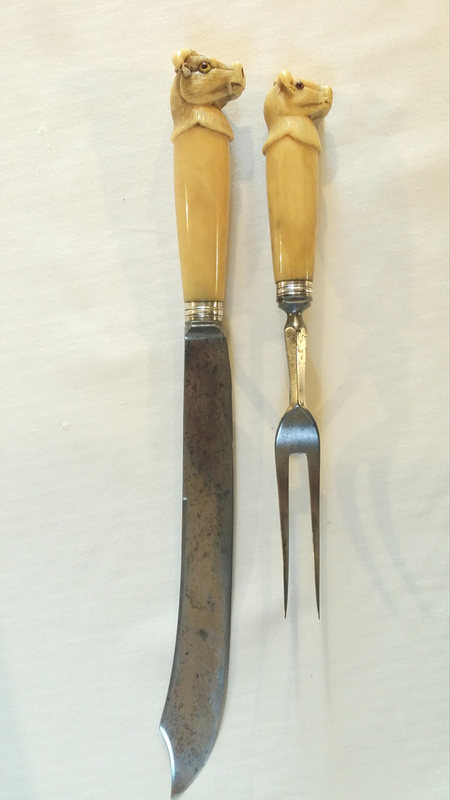 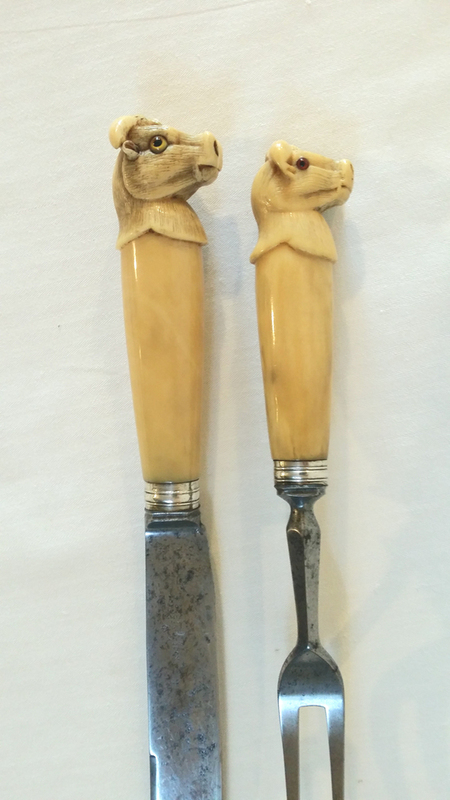 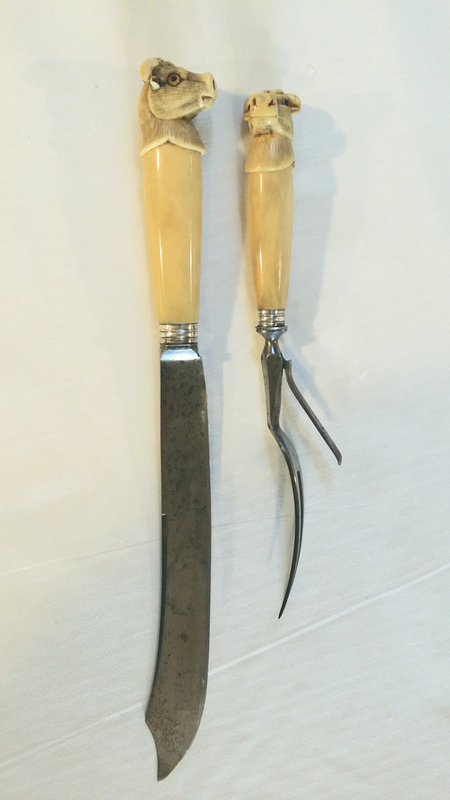 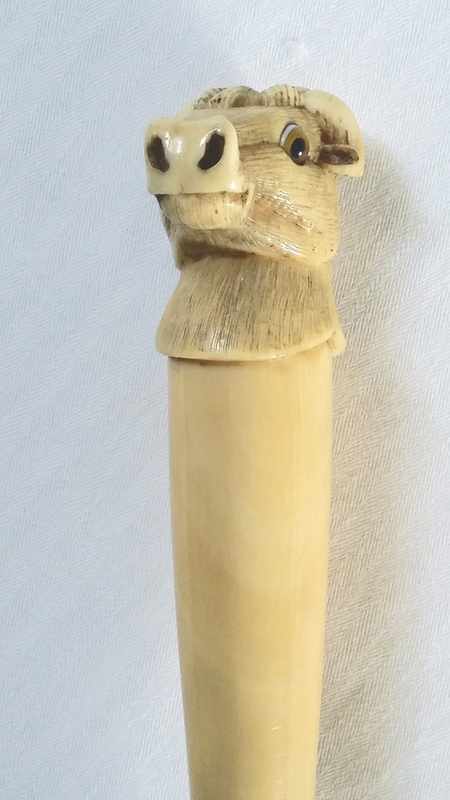 A rare and unusual English carving knife and fork with carved bone handles depicting prize bull’s heads with glass eyes and silver collars. 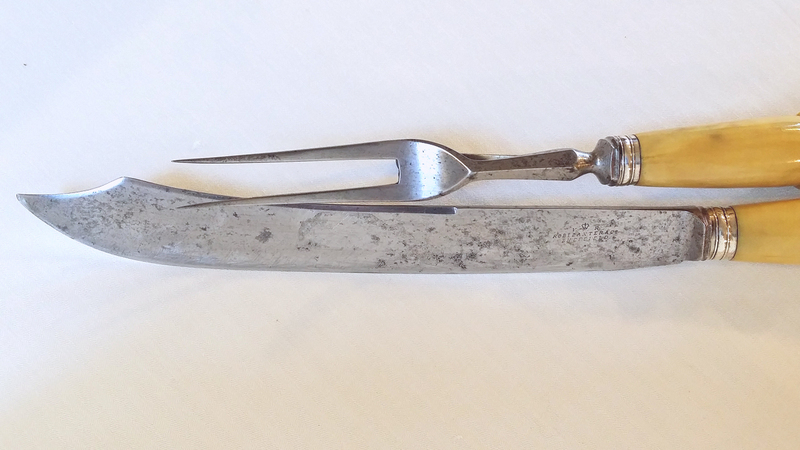 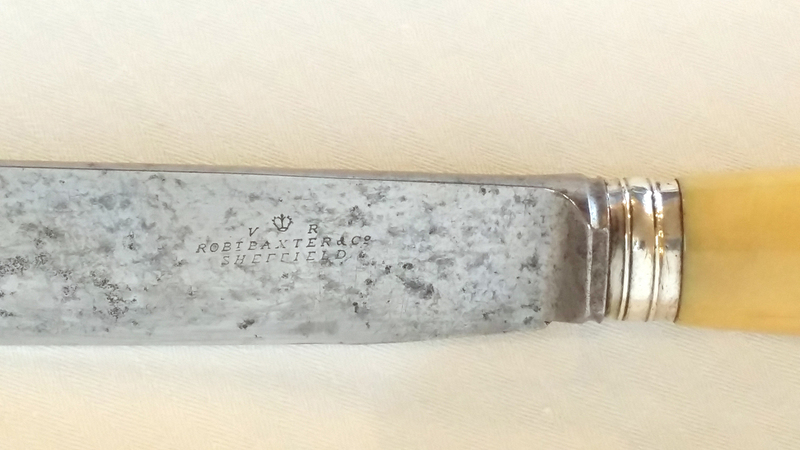 Mid 19th Century V-R stamped Robert Baxter & Co Sheffield. 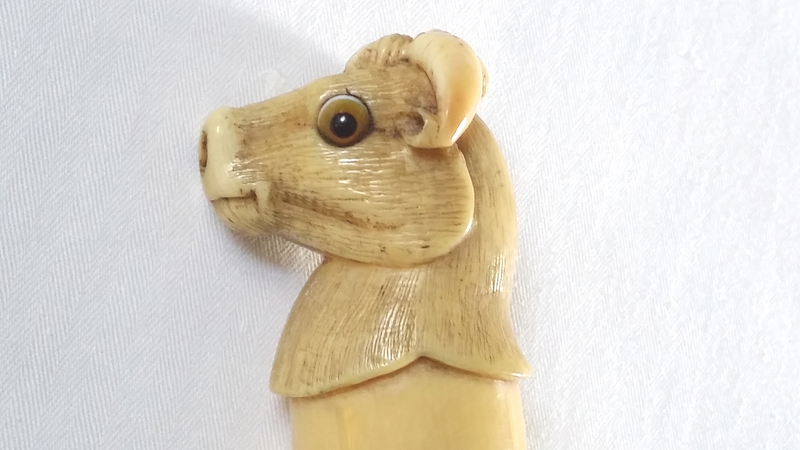 A flourishing market for carving sets became large during the 19th century being a popular marriage gift. 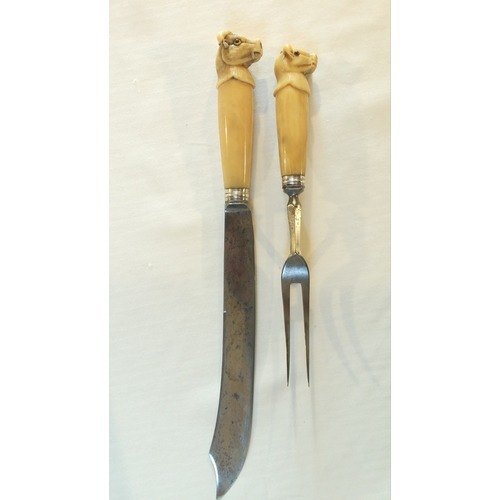 Before the 18th century to be assigned the office of ‘carver’ at a Royal or aristocratic table was considered an honour, this position of importance required skill and dexterity, a tradition lasting into the 20th century, when even in modest households the task of carving the joint, however small, on a Sunday was a ritual accomplished by the head of the family.